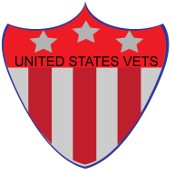 Housing | US Vets Inc. The Commons at Garden Lake, a housing facility for homeless veterans. The facility offer 75 apartment for homeless veterans in the Toledo area. The site is handicapped accessible, offers on-site support services and an employment resource center. Please read the following eligibility criteria before applying. The Department of Veterans Affairs is committed to end Veteran homelessness and making sure all Veterans have access to the resources and support they have earned. Everyone who works with Veterans has a role in ensuring their success. JDog Junk Removal and Hauling is a team of Veterans, Veteran and Military family members offering junk removal and hauling services for homes and businesses in Toledo, Ohio. Living with someone not related to you, bring recent utility bill not in your name. Harbor Light Center provides Veterans Transitional Housing. The Southeast Michigan Veterans In Transition Program (SEMVIT) provides transitional housing and supportive services to male and female homeless veterans. The program is funded in part by a Homeless Provider Grant and Per Diem Program from the U.S. Department of Veterans Affairs (VA) and provides linkages to local and federal veteran support services. The SEMVIT program is available to homeless veterans from throughout southeastern Michigan. This is an outstanding resource for veterans. Its two sites – Preston Homes for daytime services and Preston Homes II for housing – is extremely veteran-welcoming, offering a variety of services. You may or may not need a referral, so call them first for the arrangements. The Road to Hope House, Inc. is a drug and alcohol free, residential facility currently located in Lorain County, Ohio. The program provides an abstinence-based, Twelve Step environment within which the addicted person receives support, guidance and faith necessary to become a productive member of our society. If considering this vet-friendly shelter, please be aware it is an emergency shelter and you do need a referral by contacting the VA first or by simply dialing 211. They can also assist you in networking to find other places to stay. Veterans Matter’s mission is to house as many unhoused veterans and veteran families as possible. The organization works with the Veteran’s Administration to obtain VASH vouchers and provides funds for the first month’s rent and security deposit. The program now works in multiple states to secure housing for Veterans.